Braving the New Craglorn Adventure Zone and the Trials! 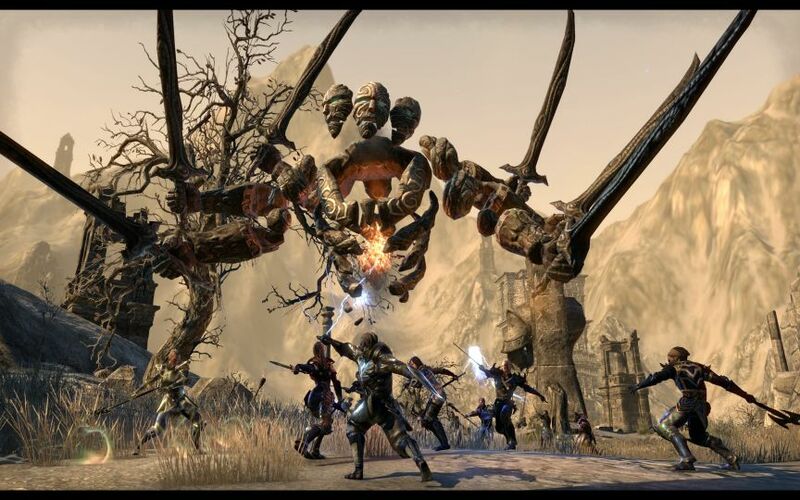 It is barely a month since Elder Scrolls Online recently launched, and already true-to-their-word ESO is adding impressively exciting new content; such as the Adventure Zone of Craglorn, and the Trials of the Aetherian Archive and Hel Ra Citadel! Craglorn is comprised of dangerous and desolate wastelands set beneath the Dragontail Mountains, and designed for groups of Veteran Players. The monsters in Craglorn will be so terrible that some of them will be the stuff of nightmares, even to otherwise undaunted seasoned veteran players! Craglorn is not to be braved alone. Craglorn is designed for groups of four veteran players and for twelve player veteran trials. Those of you familiar with Elder Scrolls Lore will remember the effects of being born under one of the various constellations of the Celestials, which are still known as the Warrior, the Mage, the Serpent, and the Thief; in Elder Scrolls Online. Yet now the Stars are missing from the skies over Craglorn and low-and-behold the disappearance of the Celestials leads to the discovery that they are each impacting Craglorn! Your group can also expect to discover magical anomalies and powerful beings, such as never encountered before! This first high-level veteran Adventure Zone called Craglorn is located between Hammerfell, Skyrim, and Cyrodiil, set beneath the foreboding Dragontail Mountains. Craglorn is included in the first major content update patch 1.1., (already live on the Public Test Server). Even though players will be able to enter the Craglorn at Veteran Rank One or more, most delves and quests are designed for high-level groups of veteran players, usually between Veteran Ranks Eleven to Twelve. You really should not attempt Craglorn till Veteran Rank Ten (Vet-10). A new quest to enter Craglorn will available for you in in a specific major place in your Alliance Zone, such as Mournhold, Wayrest, and Elden Root, that will lead you to the Craglorn Adventure Zone. 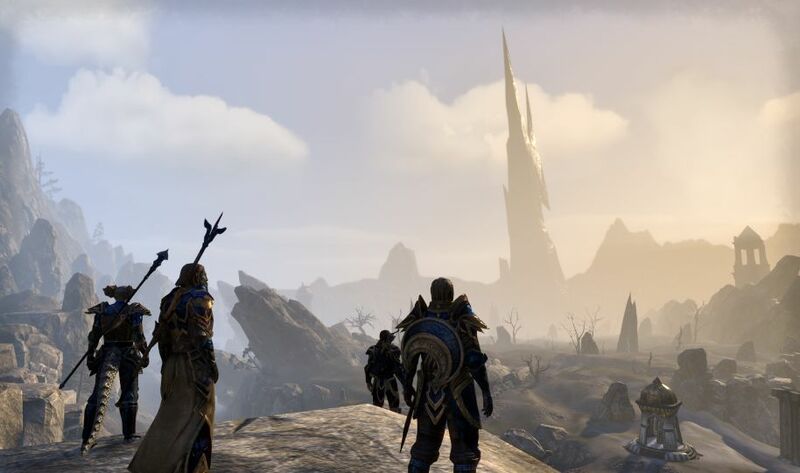 Perhaps Veterans will then want to stumble upon Quests in group adventures exploring Craglorn, yet there are also Introductory Quests for Craglorn which are designed for groups of four; that will really help give you the Lore of what this amazing adventure zone is about and enrich your storyline experience too. It is highly recommended you enjoy these introductory quests to get a feel for the Lore and what you are doing there in Craglorn for unfolding the mystery of the main storyline. 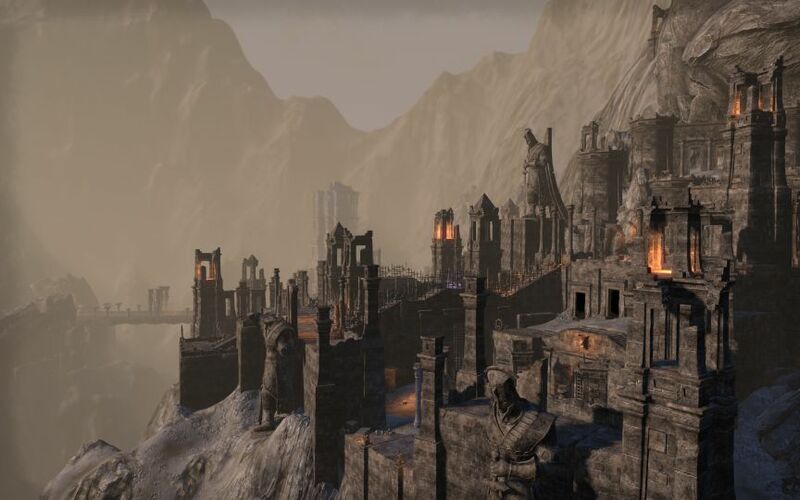 The main city of Belkarth where you first arrive in Craglorn, may be a good base to prepare your first four player veteran group, to get started delving for Skyshards and for meeting terrifying bosses with new moves that you have never experienced yet. Beware in your travels, for ancient Yokudans will attack you in the East led by the Celestial Warrior – and the Celestial Mage shall be leading powerful attacking Atronachs in the West – and there is nothing but danger in between! Expect marauding Orcs, Welva, Air Atronachs and other powerful nightmarish monsters of sky, land and water; in your travels through Craglorn also! The Undaunted will feature highly in the Craglorn Adventure Zone and the Trials of the Aetherian Archive and Hel Ra Citadel, making it yet another rewarding way to adventure Craglorn, as one of a group of The Undaunted! So if you read our earlier article on The Banished Cells featuring the Undaunted, which included how to join the Undaunted early-on, (and you dared to stop being called a ‘Milksop’ then), this will continue to benefit you now as a Veteran Adventurer to Craglorn. If not, then hurry and go join the Undaunted now. The Undaunted Skill line is very good to have, but especially important in Craglorn! The Undaunted offer the 12-player Trials, in which 12 member groups of players face new bosses with unique tactics, environmental hazards, a timer, and limited resurrections. Any resurrections used will also count against the time on your timer. Many thanks to ESO and Zenimax for coming through with such exciting additions already! Craglorn will reward you with more fascinating Elder Scrolls Lore and a new storyline to unravel, and new magical anomalies, monsters and dangers. 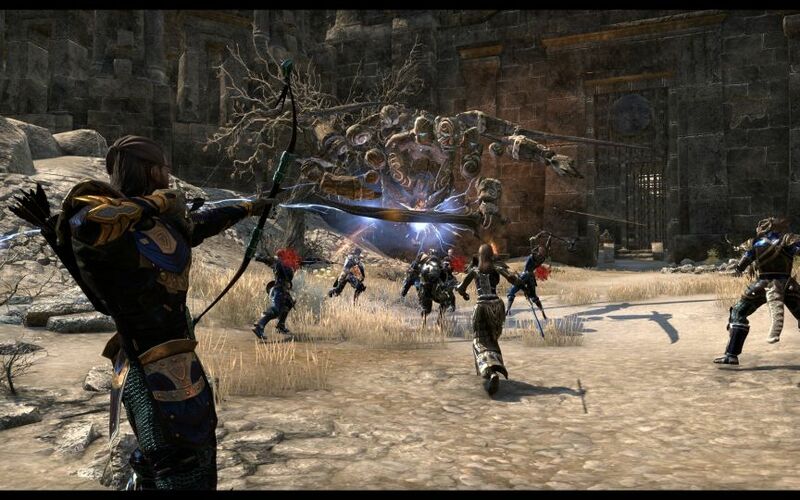 Whether in four-player groups or twelve player trials, Craglorn offers Veteran Players the opportunity to obtain uniquely powerful weapons and armor through delving and questing, and of course more Skyshards to be found for extra Skill-Points too. Also with the 1.1 patch that includes Craglorn, the Veteran Rank XP (experience points) earned from killing enemies has more than doubled. By joining the Undaunted you should have already gained some extra benefits then, and the Undaunted Skill-line. I would highly recommend getting the Blood Altar ability from the Undaunted Skill Line as soon as you can, if you do not have it yet. The Undaunted assets will also benefit you and your group further in Craglorn as Veteran Players attempting the Undaunted 12 Player Trials. Will you help the Nedic people of Craglorn and discover what drove the Celestial Warrior and the Celestial Mage to ravage Craglorn in the first place? Will you and your group be the ones whom have come victorious out of the dangers of the treacherous wastelands of Craglorn? Good Luck ESO Friends!